Calling all LOCAL LADIES! 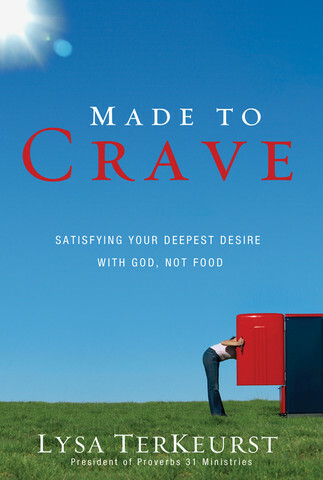 For all you beautiful women in my area, we are starting a 6 week DVD Bible Study on Lysa TerKeurst’s book Made to Crave. Starting next Tuesday, FEBRUARY 18 at 7 pm! Lysa is the President of Proverbs 31 Ministries. Two years ago I had the privilege of hearing her speak…just amazing. I’ve read the book more than once and it really hits home. This book is not a how-to manual or the latest, greatest dieting plan, Made To Crave is a helpful companion to use alongside whatever healthy eating approach you choose-a book and Bible study to help you find the “want to” in how to make healthy lifestyle changes. Join Lysa and experience all that you were made to crave! I would sum up the book as directing us to go to God when we crave…because that’s what we’re really craving. Comment or email me for more information at trytrytryathlete@gmail.com.